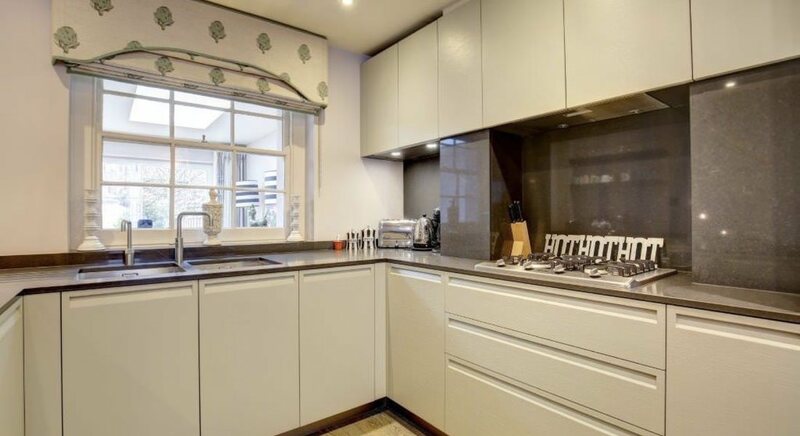 This project involved completely gutting the property from top to bottom. 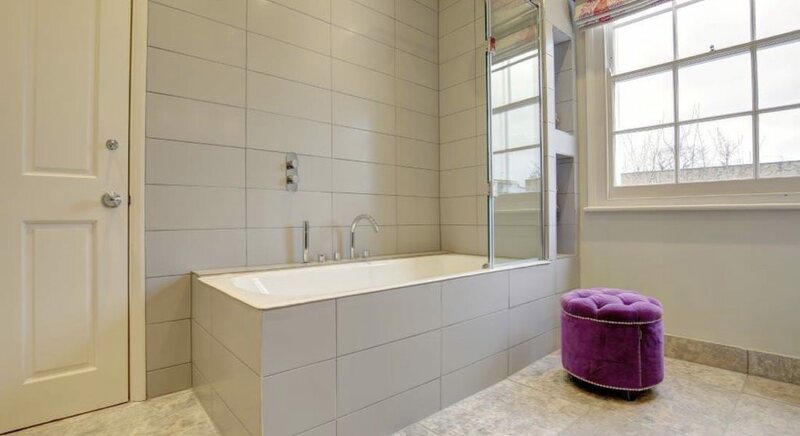 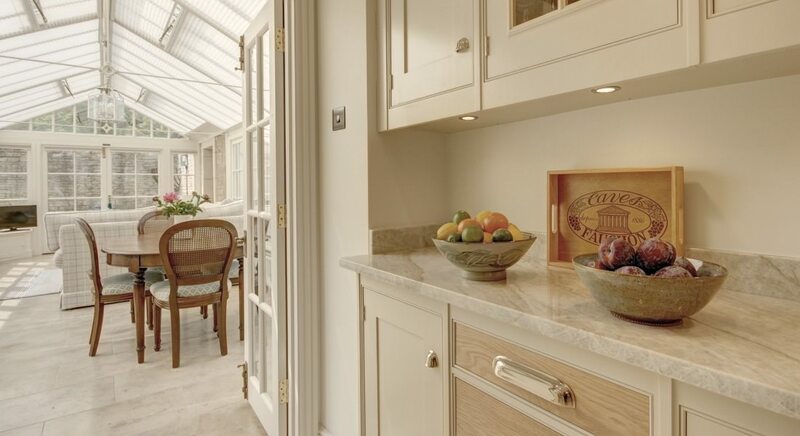 Lulu worked closely with the client with whom she has worked with on many previous projects. 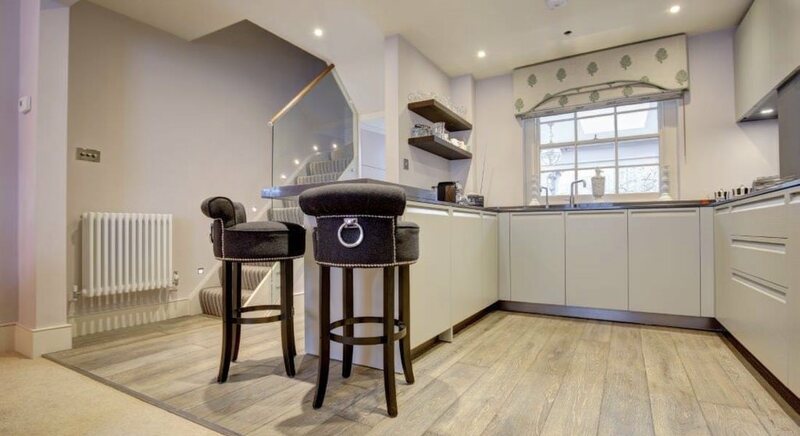 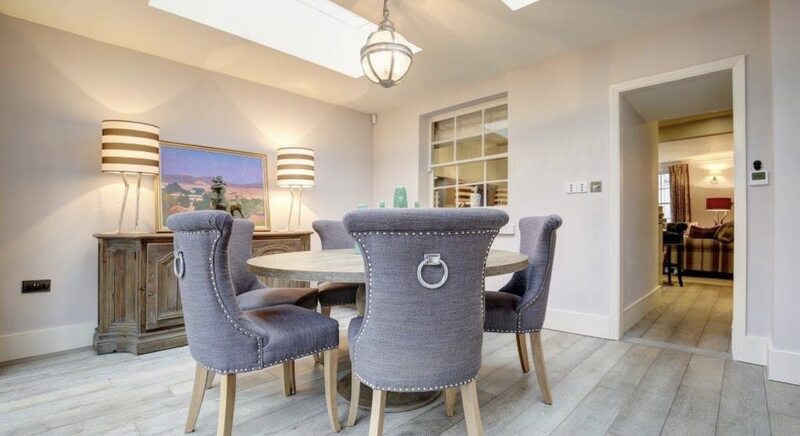 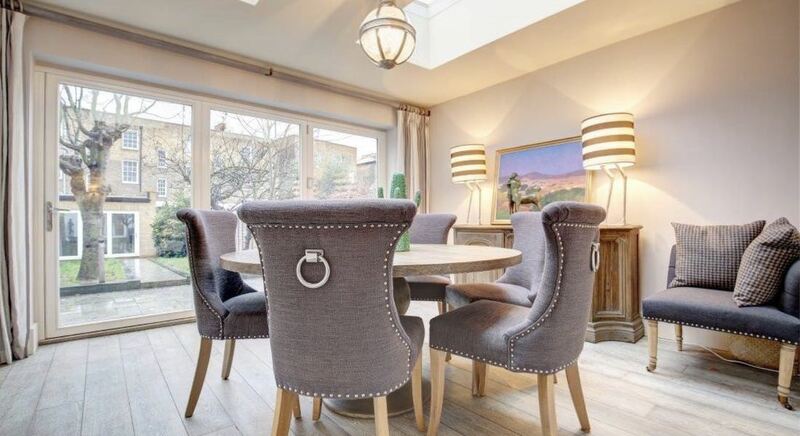 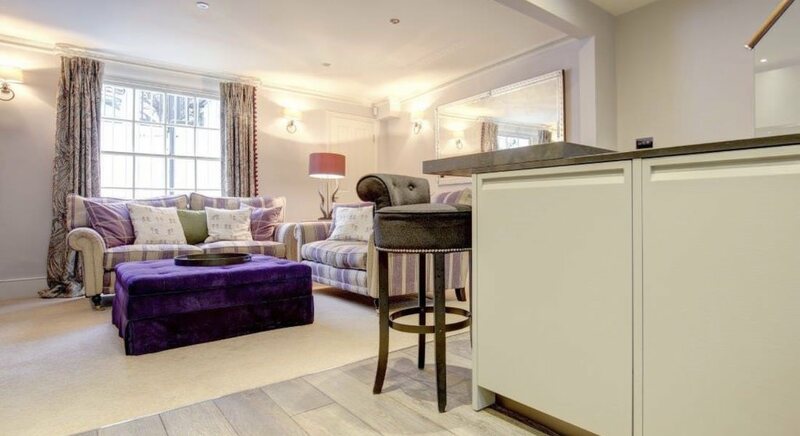 Lulu sourced all the furniture, lighting and carpeting, and worked with the client’s kitchen designer to produce a contemporary look that was in tune with urban life but also with a nod to the age of the property. 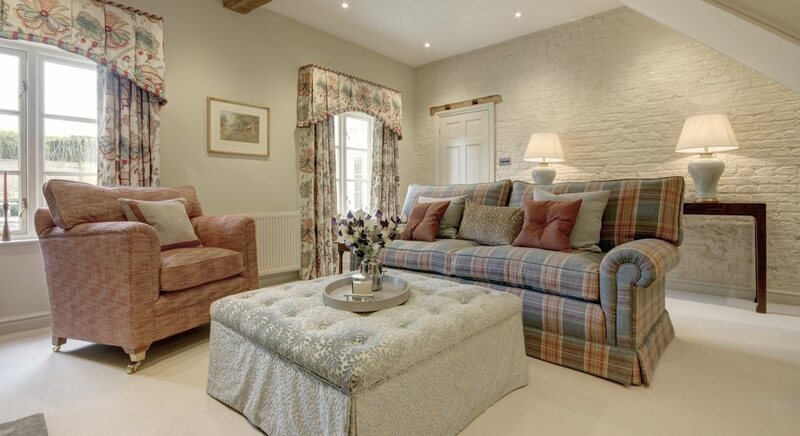 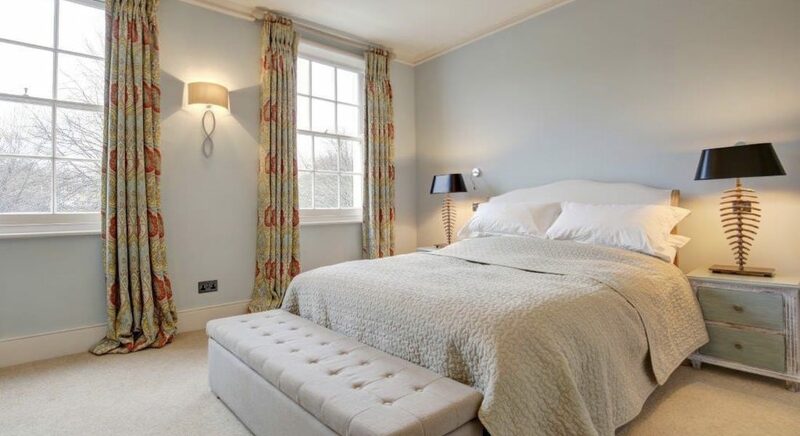 Fairly strong colours were used in some rooms but the central theme was cool and calm. 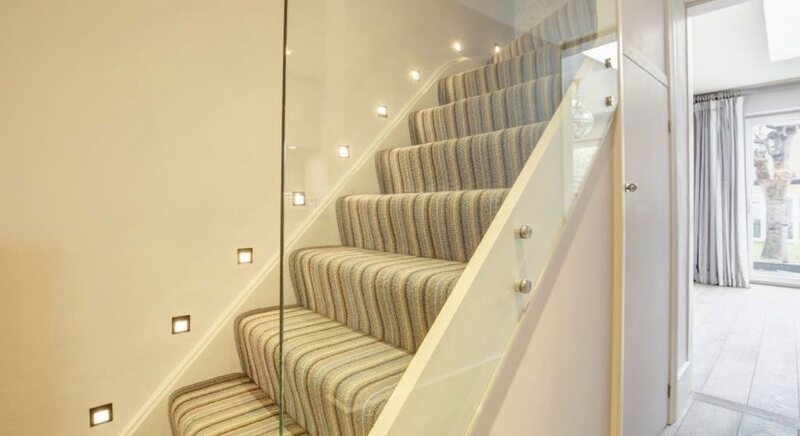 The hall and stairs are narrow, hence the use of the stair lights and a clear glazed barrier to the lower ground floor. 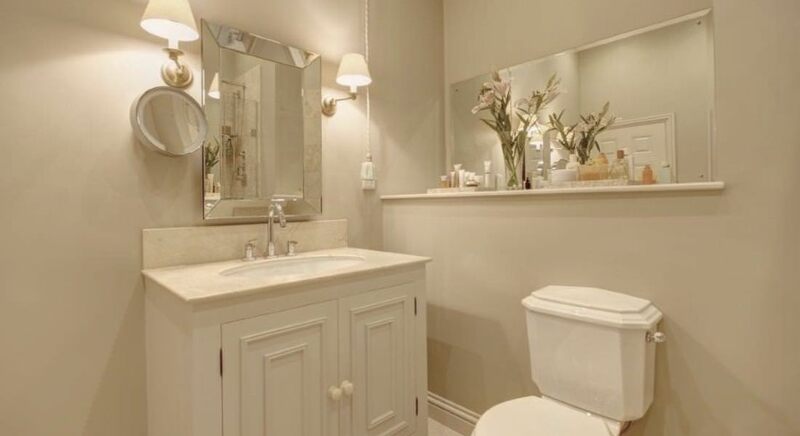 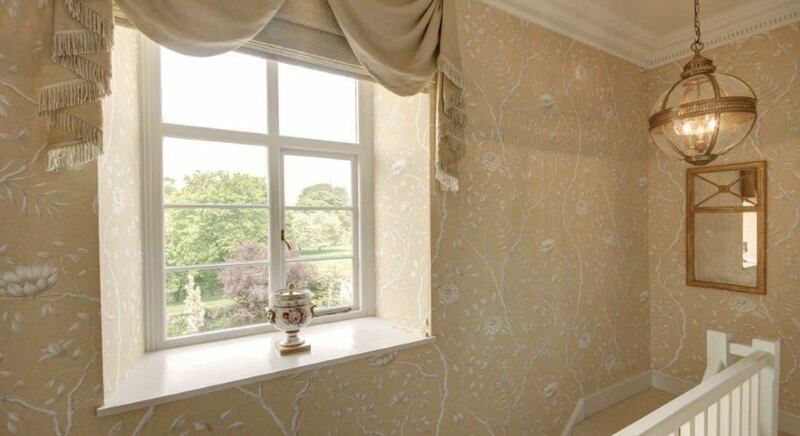 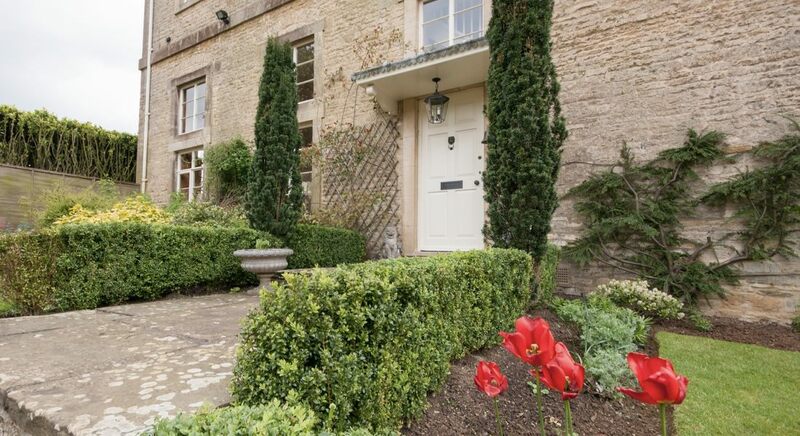 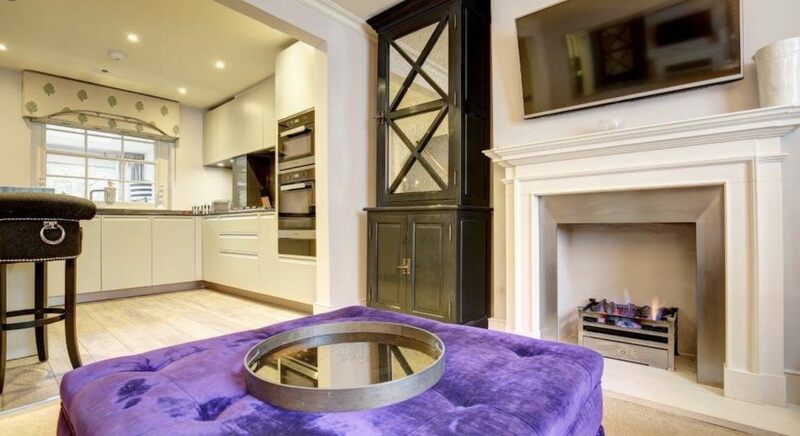 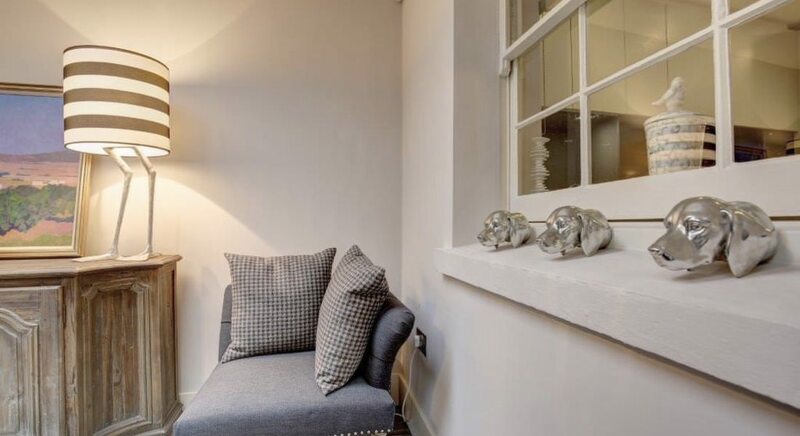 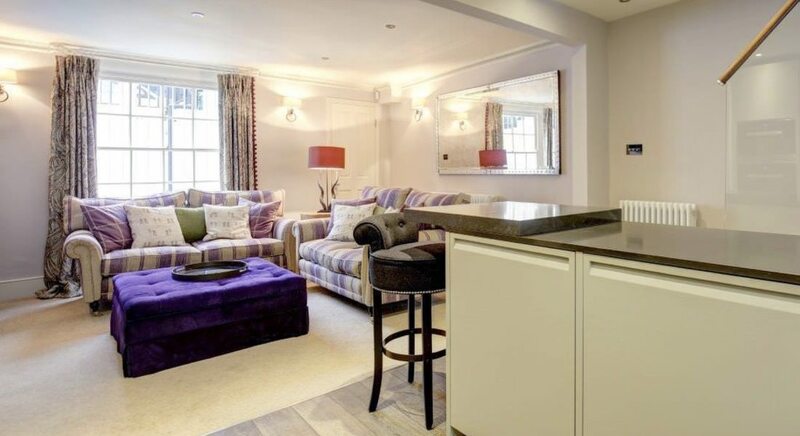 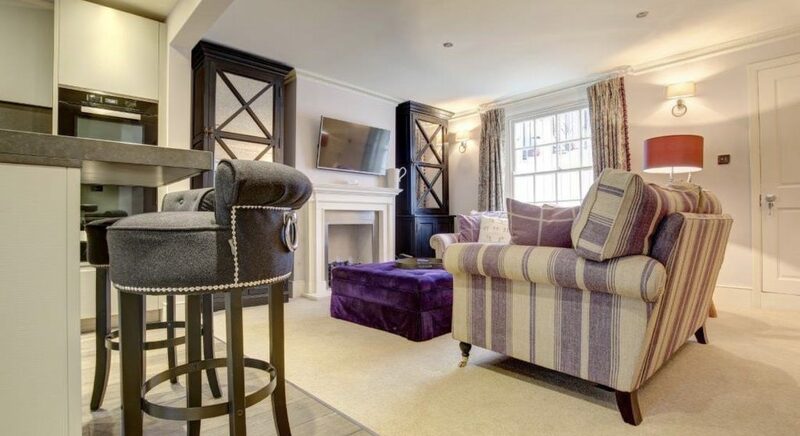 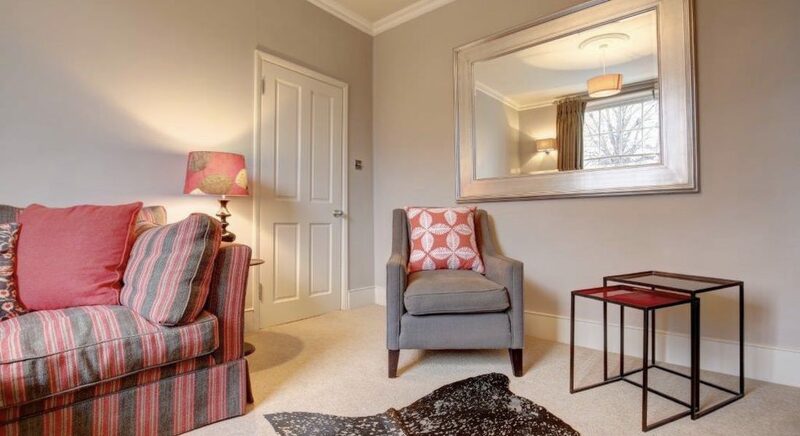 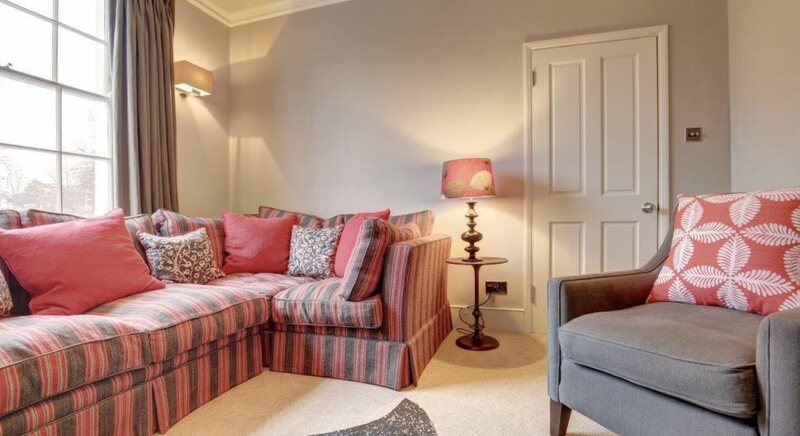 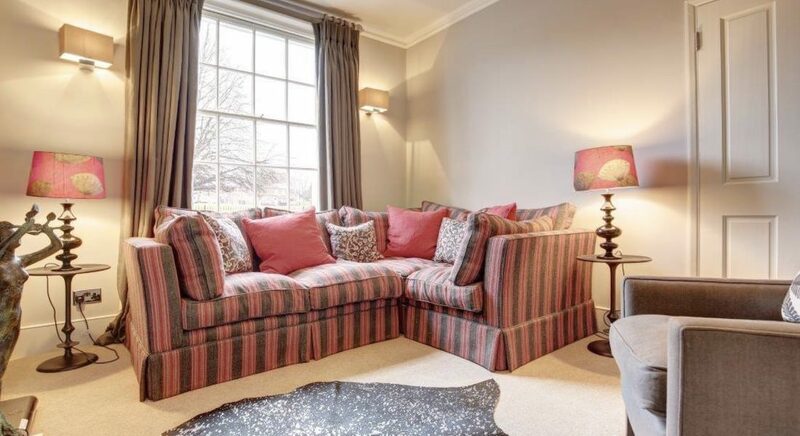 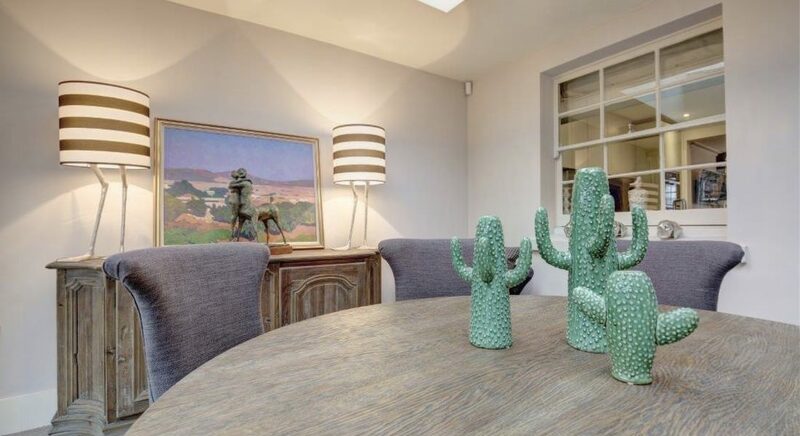 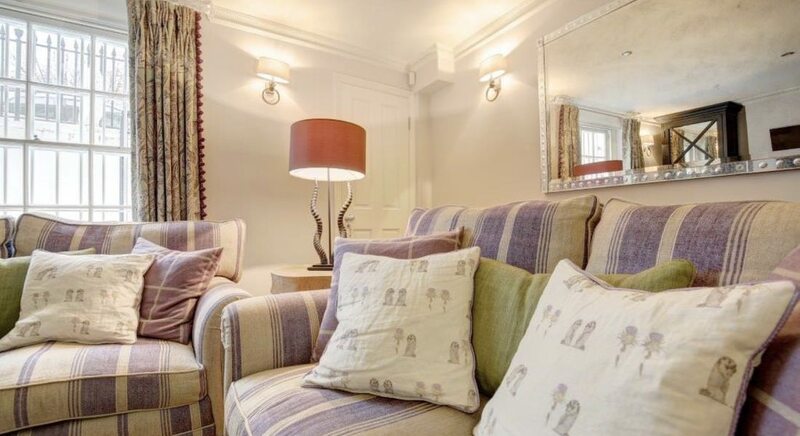 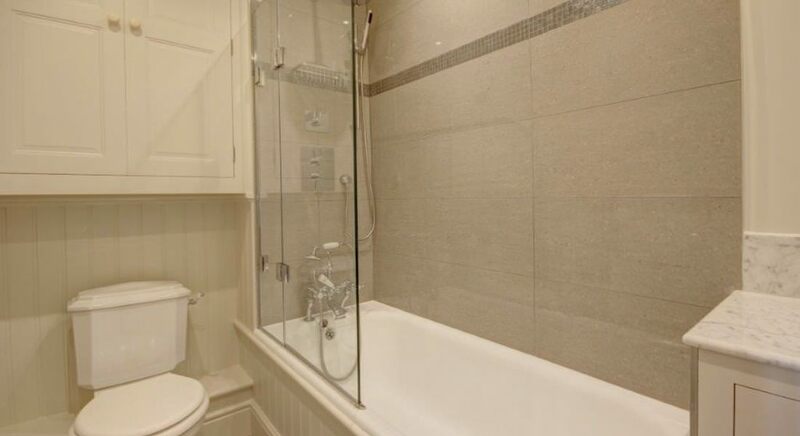 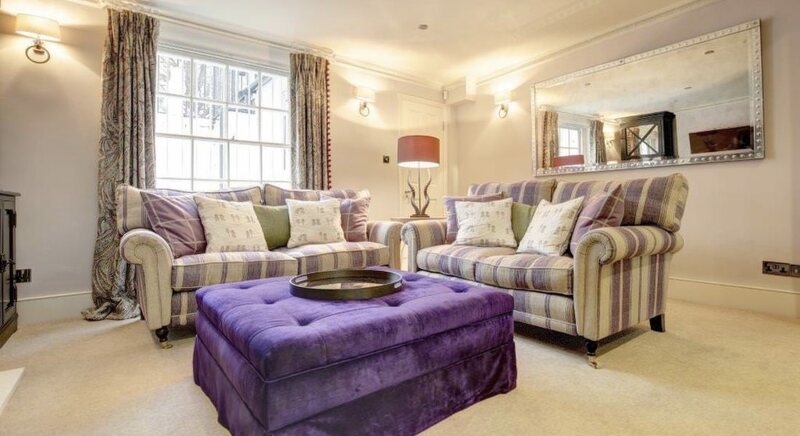 This beautiful apartment is part of a very large Grade 1 listed property in Rutland. 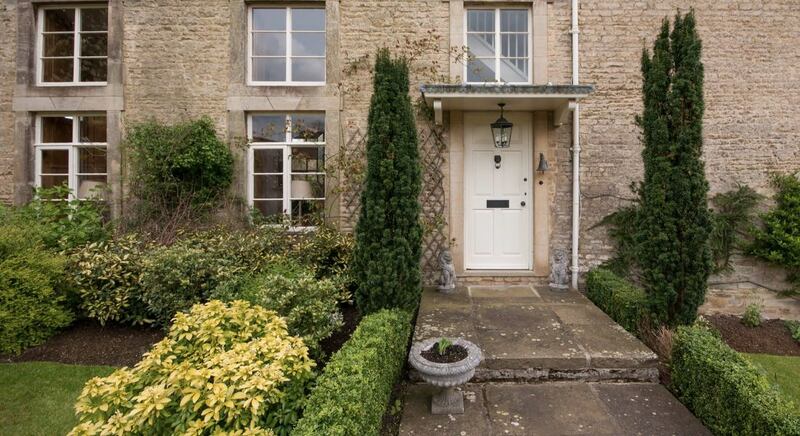 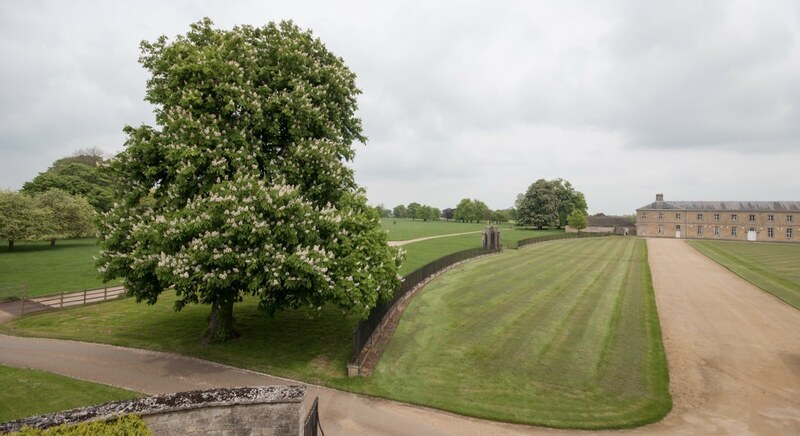 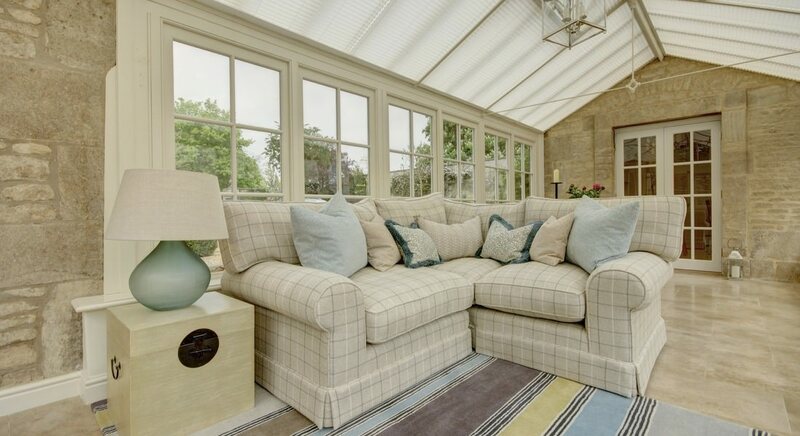 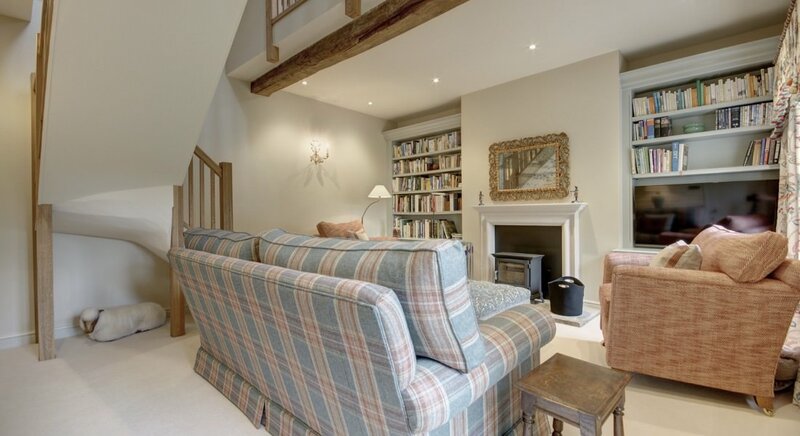 It has wonderful high ceilings and is set in beautiful parkland. 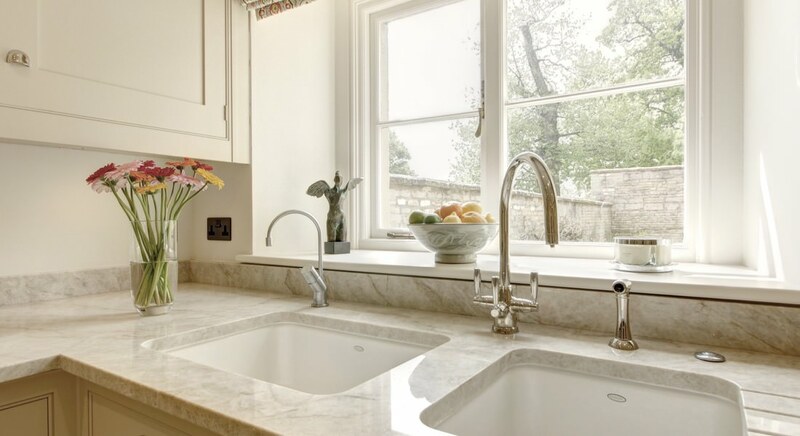 However, some rooms were featureless and needed to be overhauled to bring them in line with requirements for today’s living. 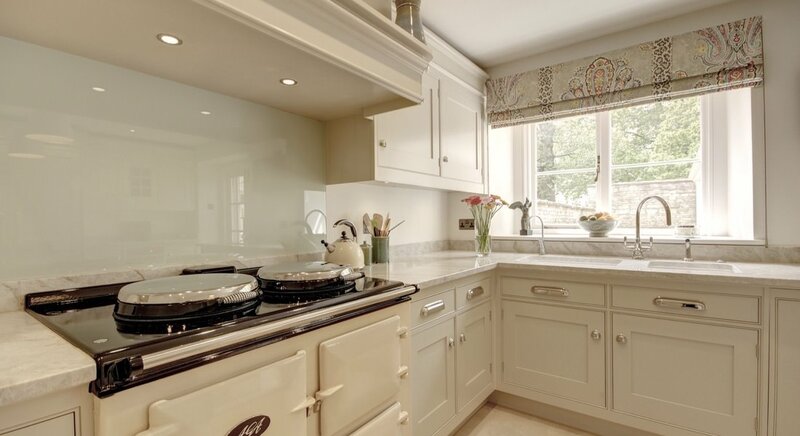 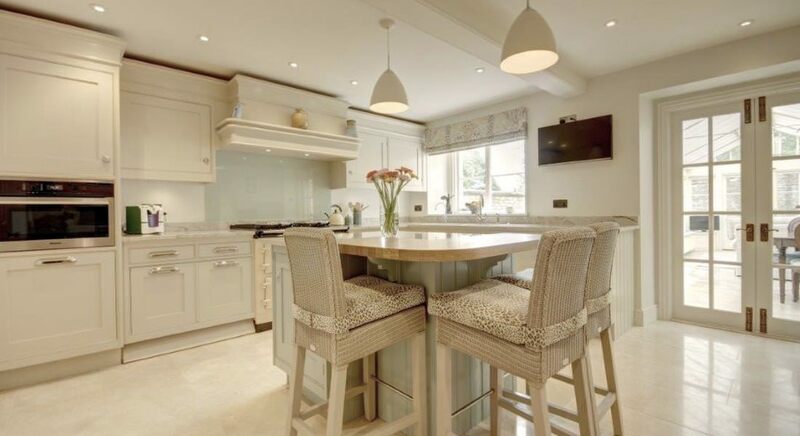 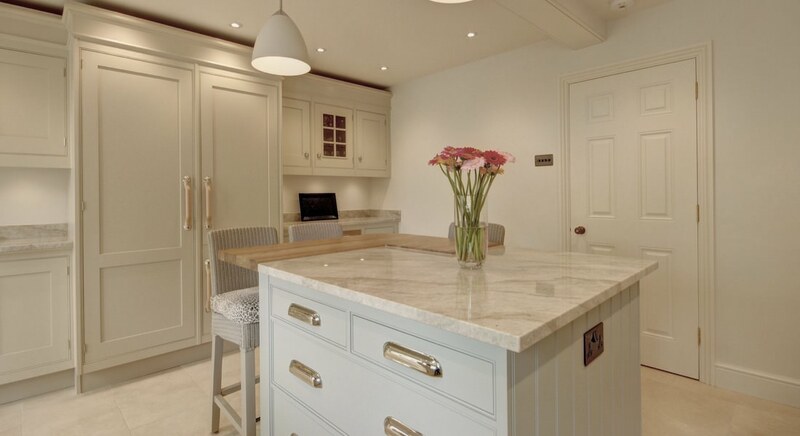 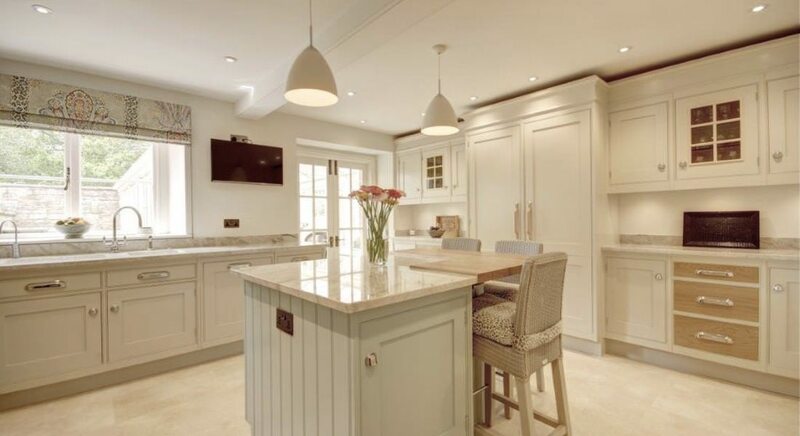 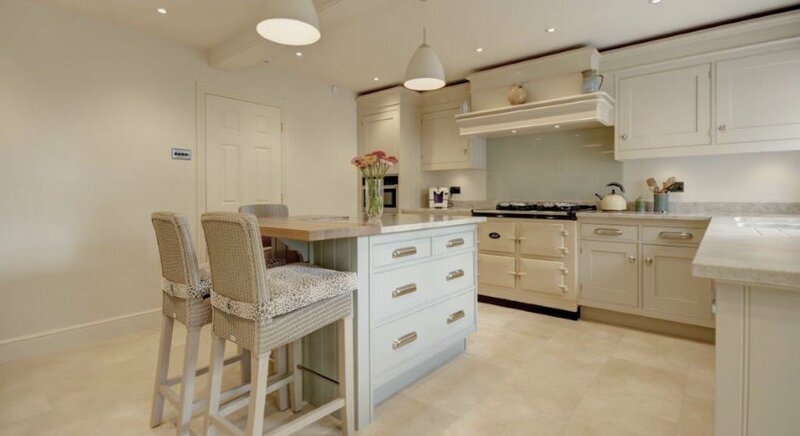 The kitchen was designed by Mark Wilkinson Kitchens, a company that my client had used previously and with whom I worked closely on the design and layout. 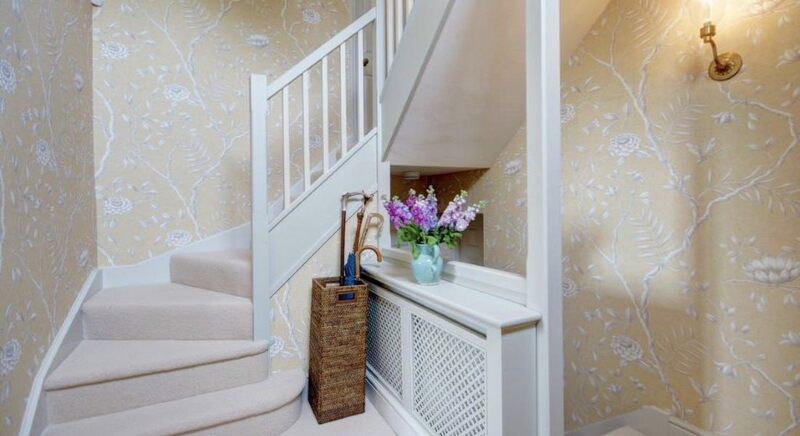 The stairwell was previously very dull and featureless; we installed the correct cornice with advice from Stephensons of Norwich and used Lewis and Wood wallpaper to break up the space. 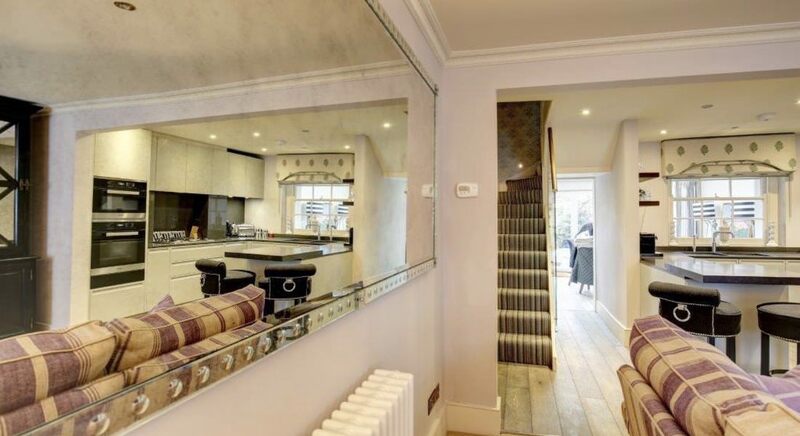 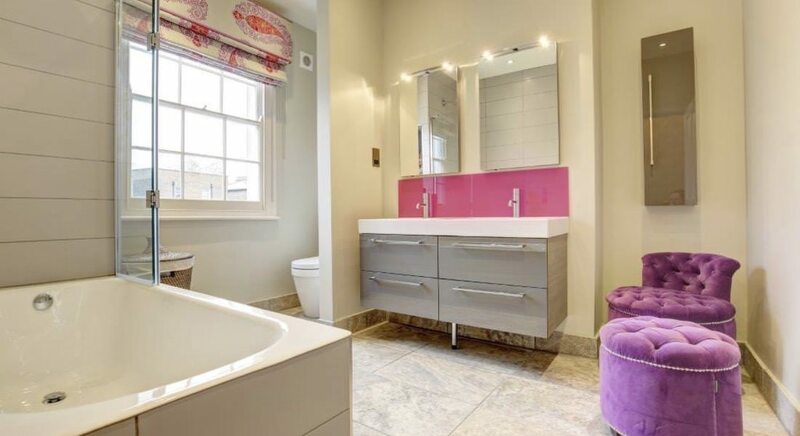 The addition of mirrors helped to alter this space considerably. 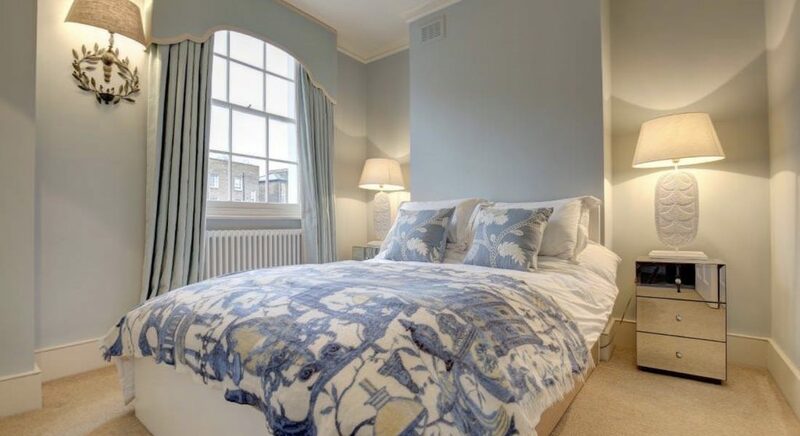 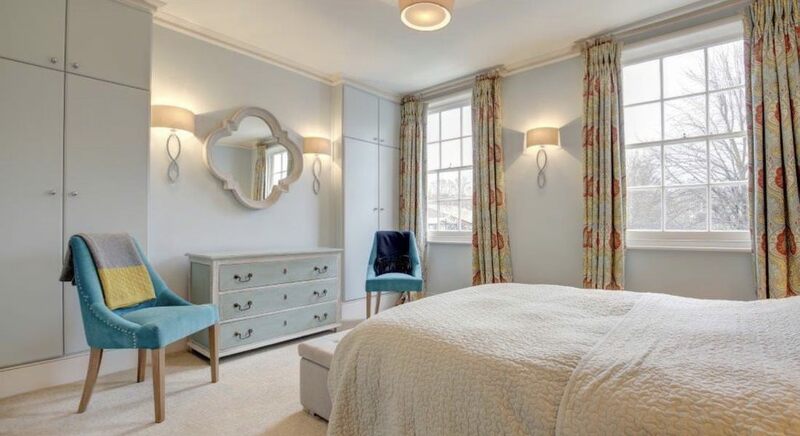 The Master Bedroom was improved by the addition of cornice and deeper aqua blue on the walls. 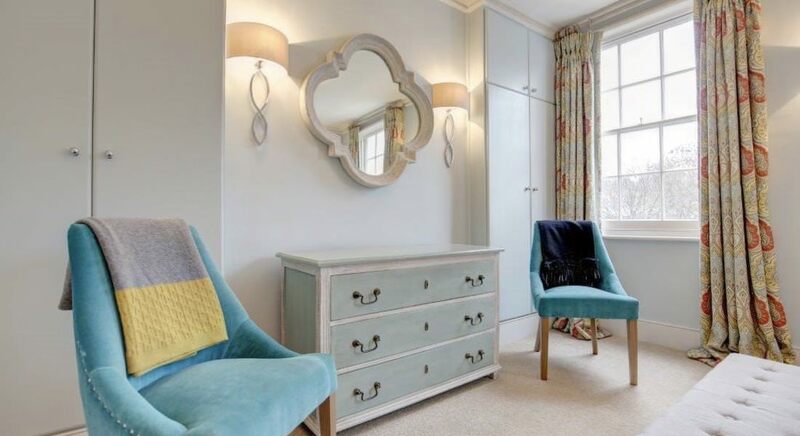 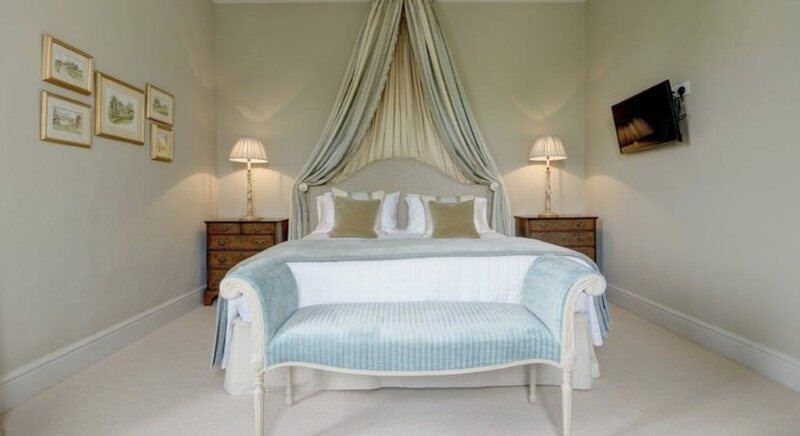 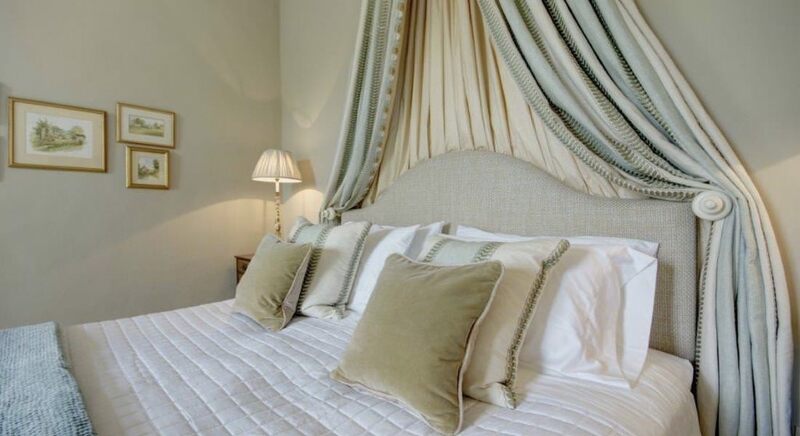 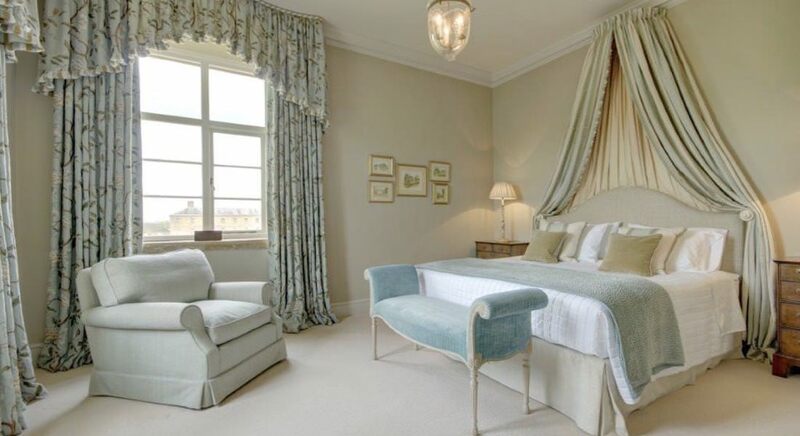 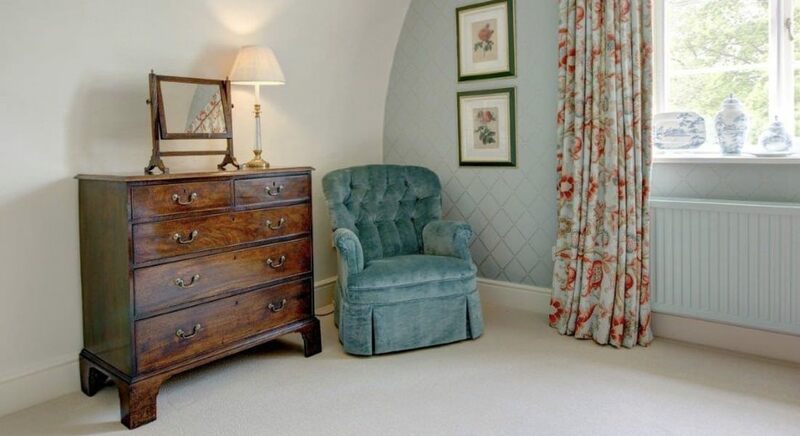 Christopher Clark joinery supplied a beautiful wardrobe which was painted a suitably dark aqua and then we dressed the bed in a traditional manner with simple corona and side curtains. 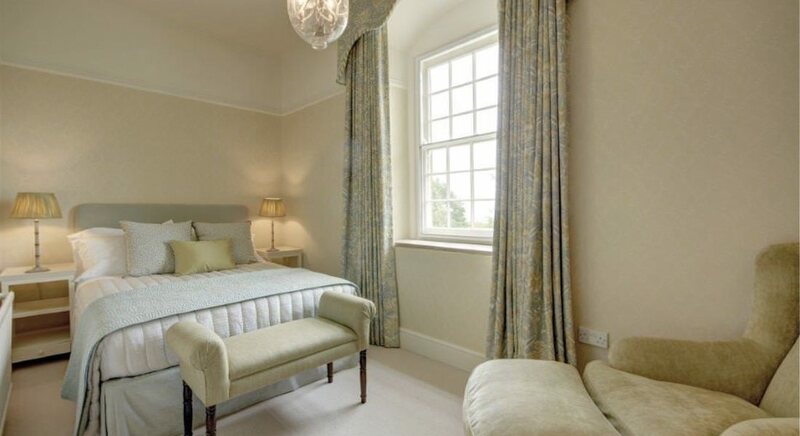 The windows were dressed with classical curtain treatment – keeping a classical contemporary feel to the entire commission. 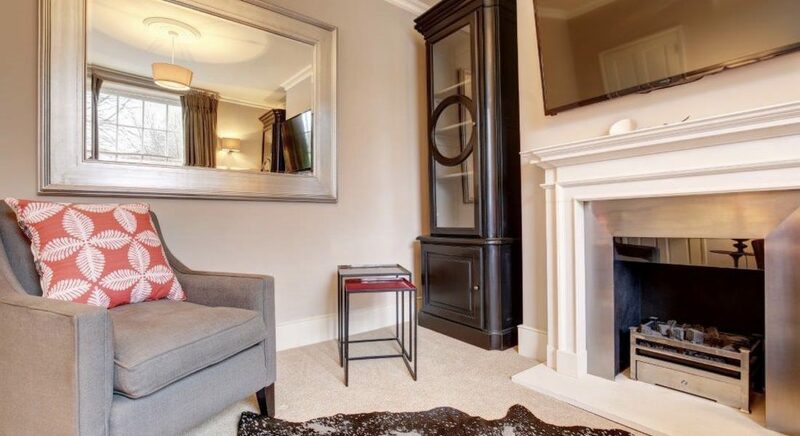 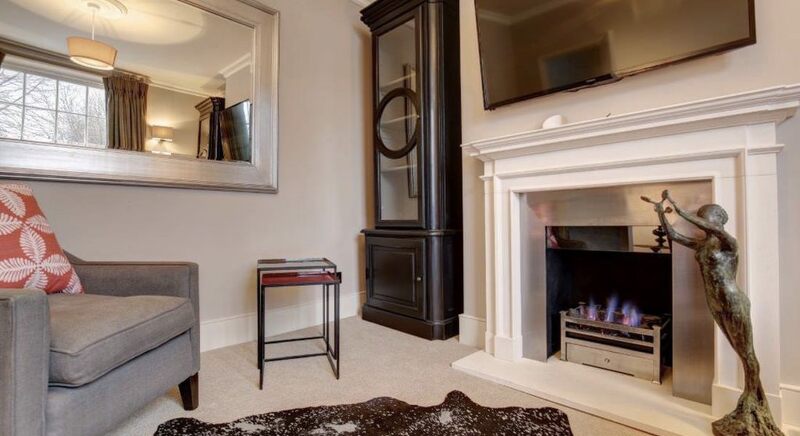 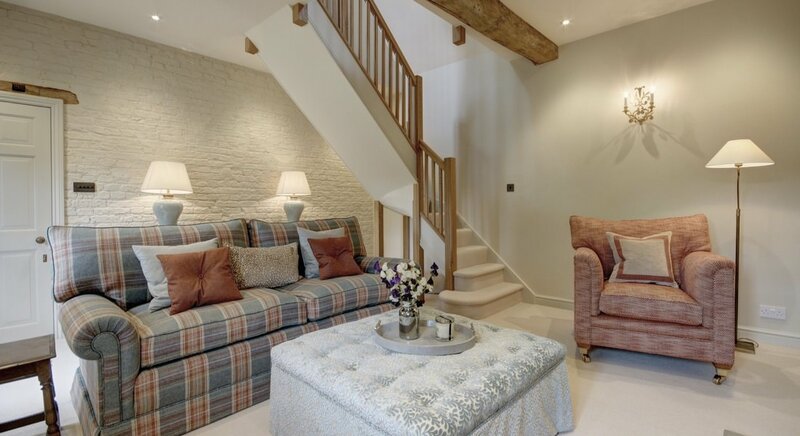 In the snug a fireplace and log burner were installed so that the client could use this small room on a regular basis in the winter when other rooms felt too chilly. 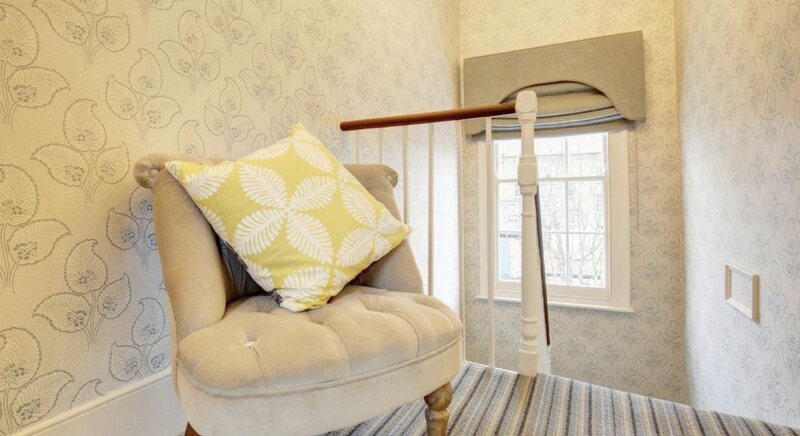 We installed a staircase replacing the previous ironwork spiral staircase which immediately gave the room a more substantial feel. 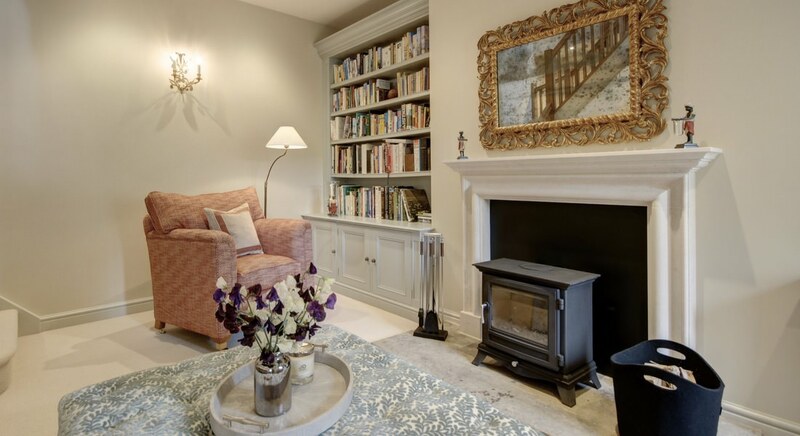 Christopher Clark installed some bookcases either side of the fireplace which again we painted. 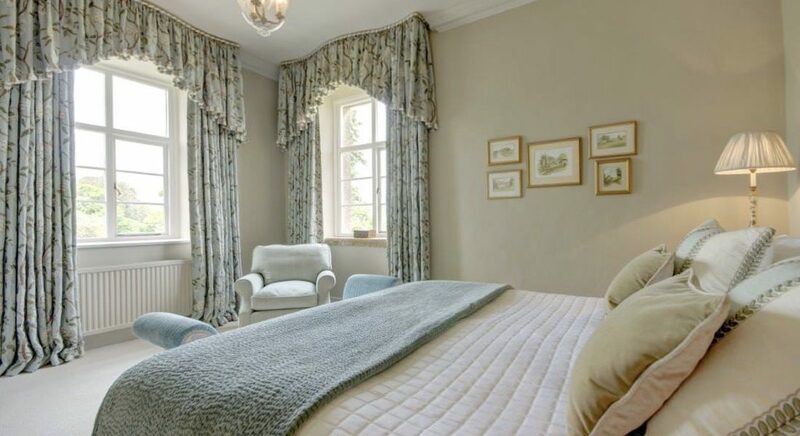 Window treatments were slightly more contemporary but all colours in this room were rich and warm. 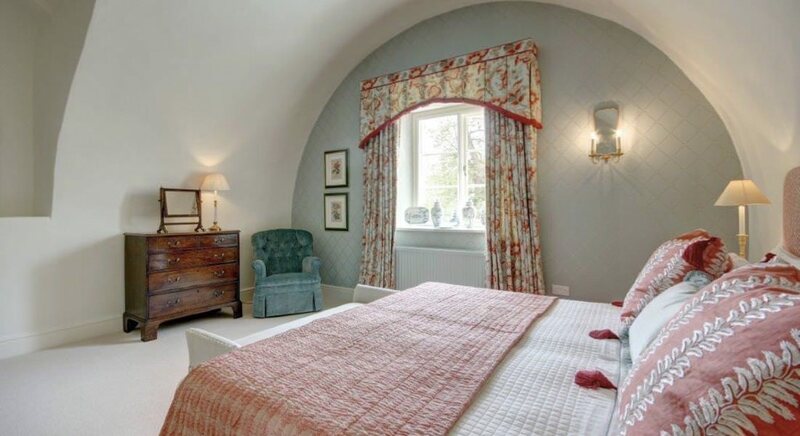 This domed ceiling was a challenge to decorate but gave the room huge character and as it was north facing we used some stronger colour to enhance the warmth. 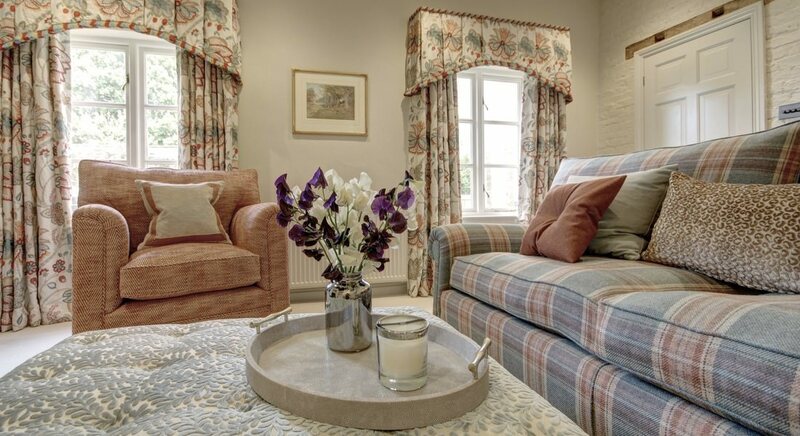 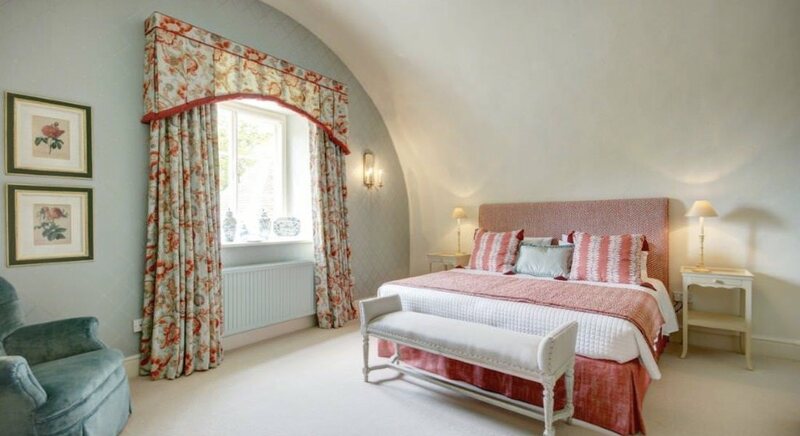 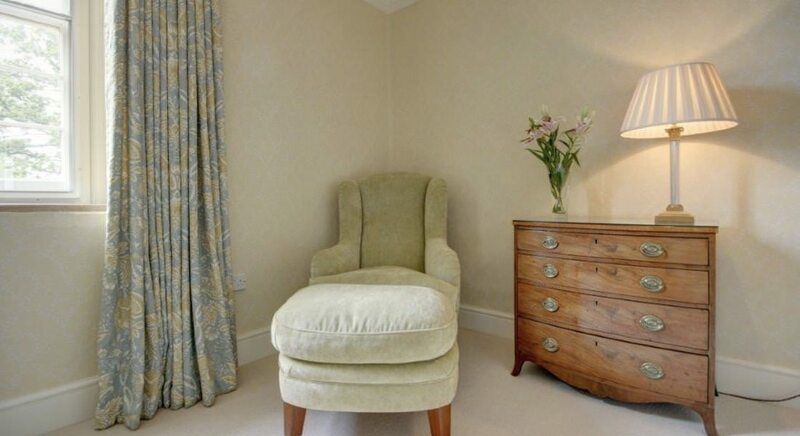 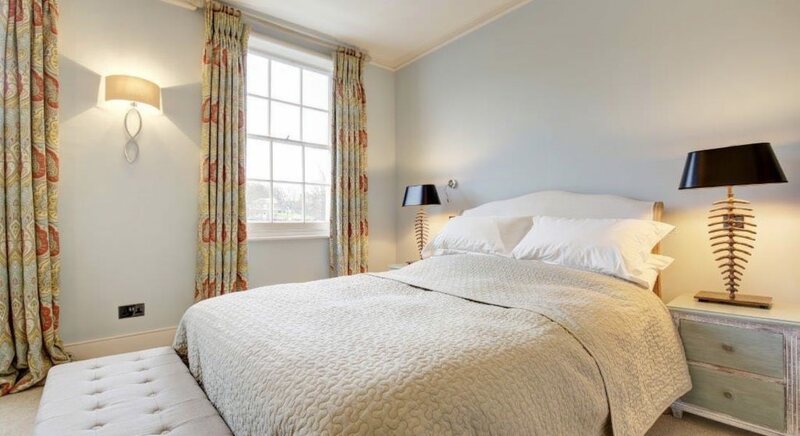 Lovely Lewis and Wood fabric for the curtains and accompanying fabrics gives this room a different feel slightly more contemporary than the other bedrooms, and lighter in feel.